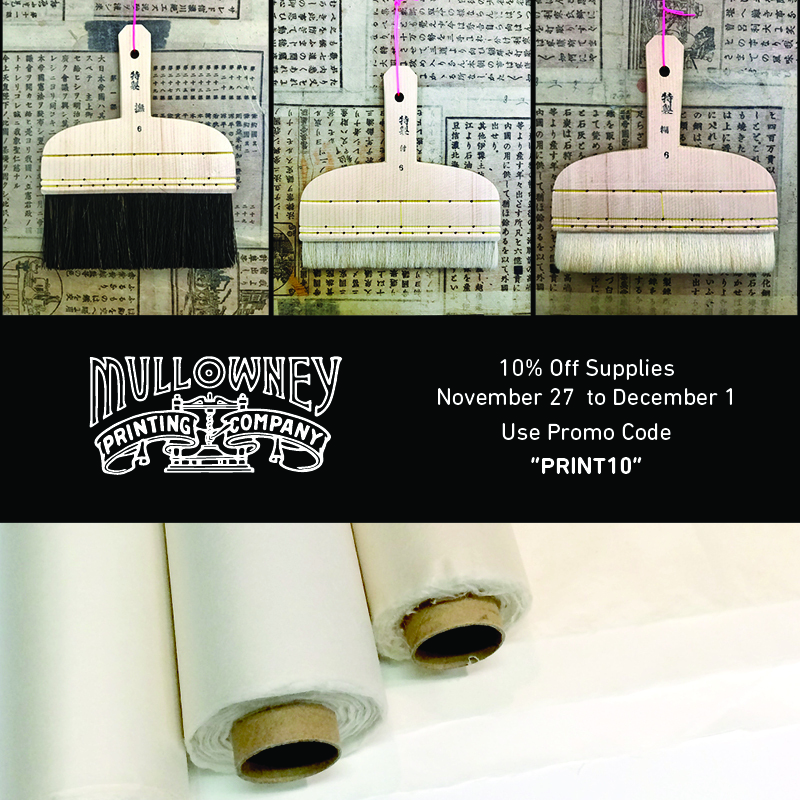 Mullowney Printing is having a holiday sale starting on Monday, November 27! The 10% off sale goes through Friday, December 1. Take 10% off on our Japanese brushes, perfect for pasting and chine collé. Also take 10% off our selection of fine kozo and gampi roll paper direct from Japan, both great for calligraphy, woodcut, etching, monotype. These paper rolls are affordable and great for large work measuring in at 40 inches by 60 meters (+180 feet). Use promo code "PRINT10" at the checkout to apply the discount. Happy Printing!